Just about all vertebrates have an organ called the "spleen". The spleen has a similar structure to a large lymph node and acts primarily as a blood filter. The spleen plays important roles in regard to red blood cells and the immune system. The spleen removes old blood cells and holds a reserve of blood, which can be valuable in the case of shock. 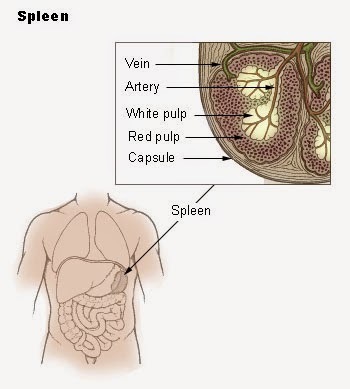 The spleen also synthesizes antibodies in its white pulp and removes antibody-coated bacteria and antibody-coated blood cells by way of blood and lymph node circulation. The images below were captured under the U2 biological microscope using a microscope digital camera. 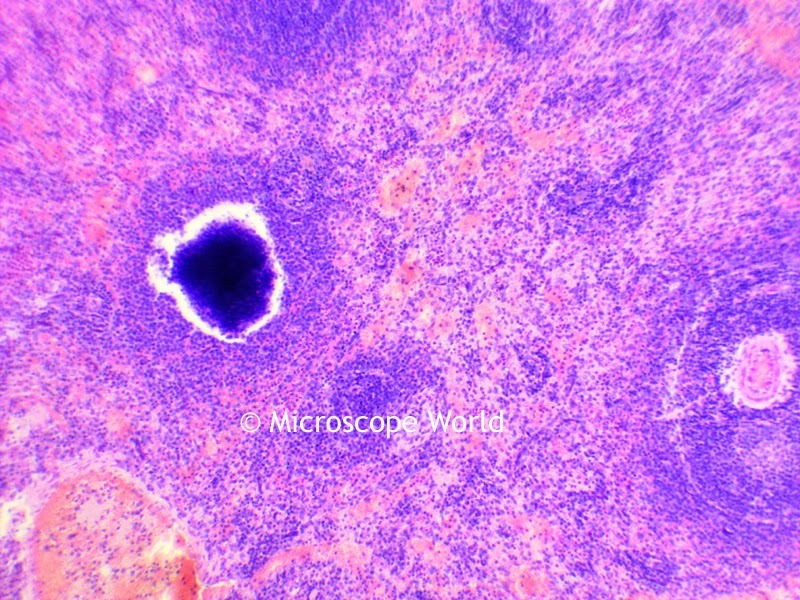 Spleen captured under the microscope at 40x magnification. 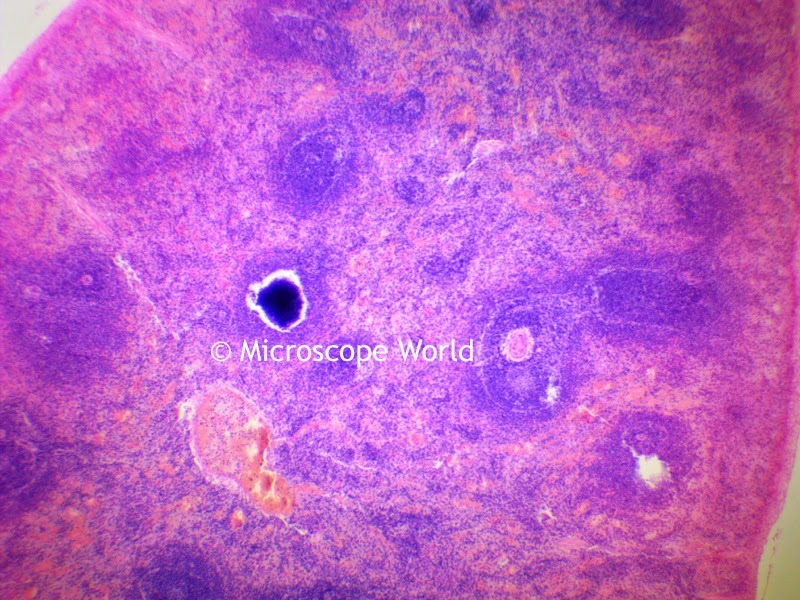 Spleen captured under the microscope at 100x magnification. 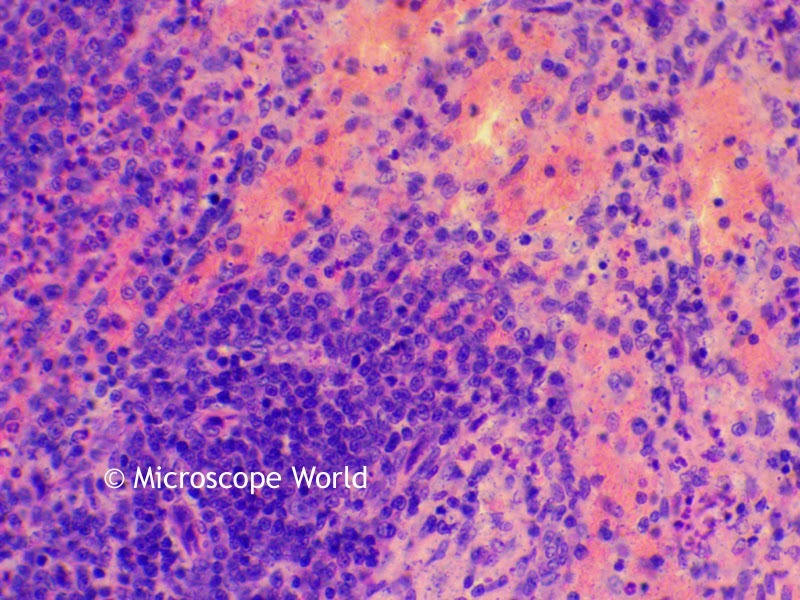 Spleen captured under the microscope at 400x magnification.